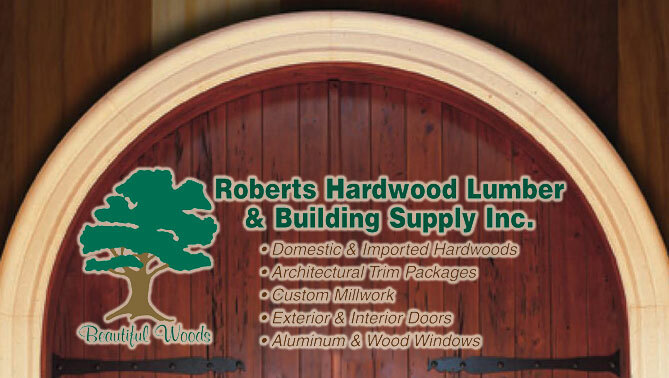 Roberts Hardwood Lumber and Building Supply Inc. - Beautiful Woods! Welcome to Roberts Hardwood Lumber, a residential and commercial building materials supplier. As a long-standing, family owned business, we can provide you with outstanding cusomter service along with furnishing you, our customer, only the highest quality materials and products. PRODUCTS: Our in-house mill shop produces a variety of custom millwork to fulfill your project requirements. The items we produce include entry doors, radius mouldings and jambs, stair tread, and any standard or custom profile of architectural moulding. 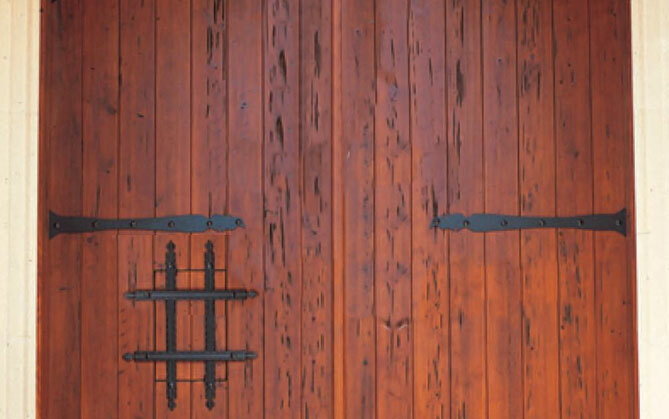 In addition to our custom products, Roberts Hardwood Lumber also supplies commodity trim, doors and door hardware to numerous builders. We can produce complete interior trim packages for a single home or multi-unit condominium projects. Our window and door showroom features working displays from both PGT and Peachtree brands.